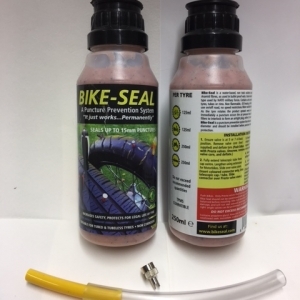 A unique premier tyre sealant / puncture prevention system. 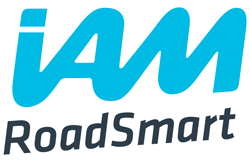 Same unrivalled product previously sold in 1L bottles, now relaunched under new label in convenient 500 ml bottle, as a result of customer feedback and growing demand. 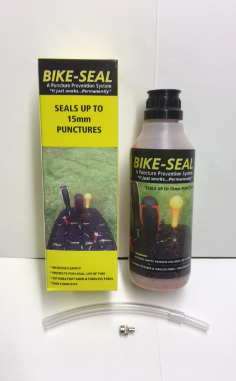 Seals up to 15mm punctures PERMANENTLY. Easy self application. Complete with telescopic delivery cap (extension if required) and valve core removal key. 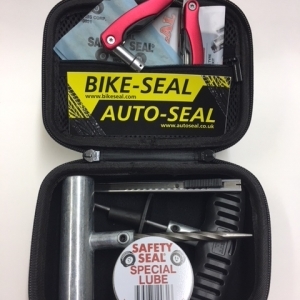 Guide usage: 1x 550ml bottle protects 1 large motorbike (2 tyres). Product can be stored even when opened – no shelf life, so can be used at later date. 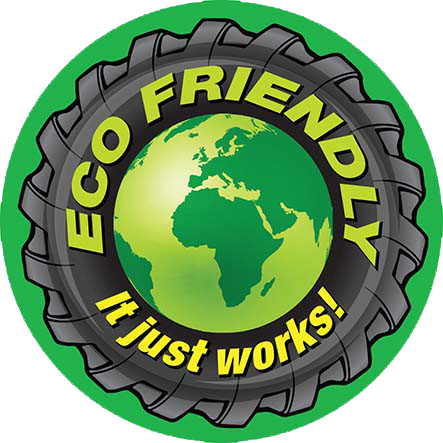 (Tyre requires inflation after installation to manufacturer’s guide).